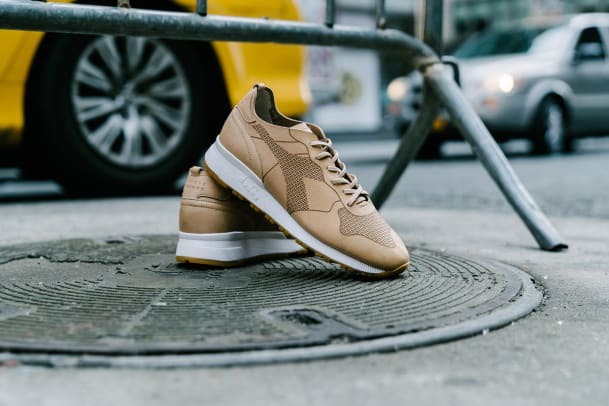 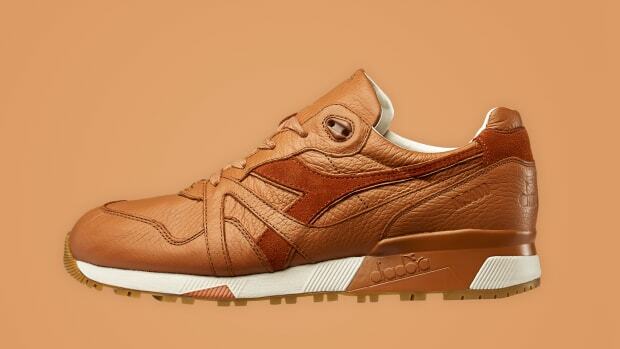 Under its BNY Sole Series banner, Barneys New York has partnered with Diadora to release a premium interpretation of the Trident 90 silhouette, featuring an unlined, nearly seamless build in Vachetta leather, vegetable-tanned and guaranteed to develop a beautiful patina over time. 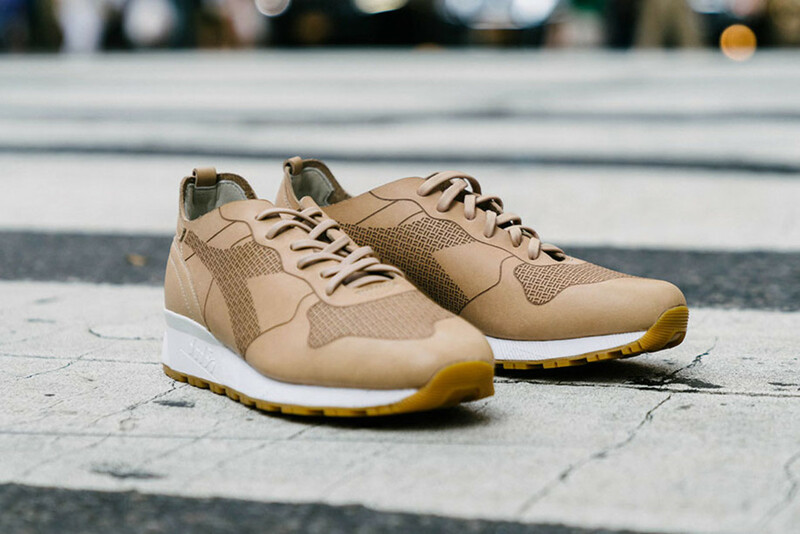 Details include a laser-cut geometric pattern, inspired by NYC manhole covers, matching Vachetta leather laces and a gum rubber outsole. 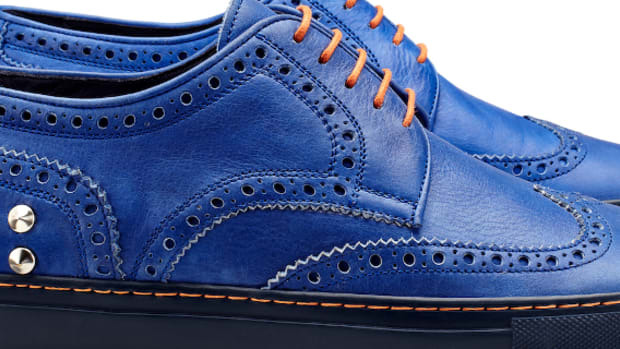 Barneys New York branding on the heels complete the look. 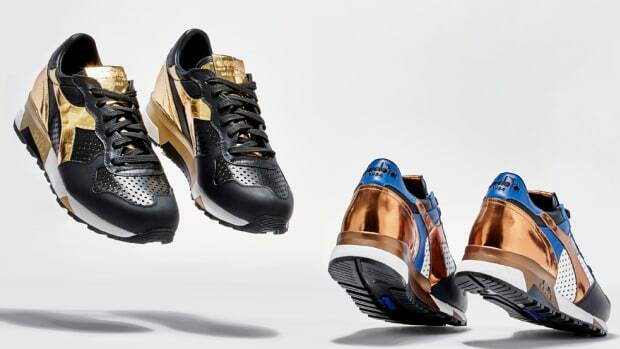 Retailing for $300, the kicks are available starting today at Barneys New York stores and barneys.com. 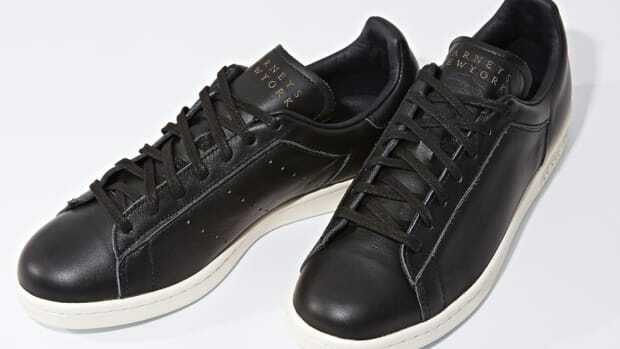 Also check out Barneys&apos; take on the iconic Stan Smith and Superstar, as well as the Hanon x Diadora V7000 "Tuscan Racer."